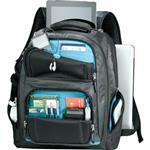 The Graphite Slim 15” Computer Backpack is both stylish and functional at a great value. The zippered main compartment features a padded laptop sleeve which holds up to a 15.6” computer while leaving plenty of room for all your business essentials. A front zippered pocket provides organizational compartments to keep your pens and business cards in order. 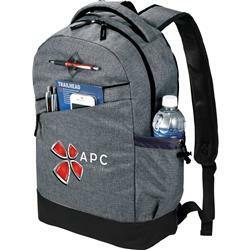 This backpack also has a side pocket which cinches closed making it adjustable to any size water bottle. 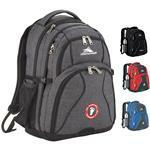 Has adjustable padded straps and padded top grab handle for maximum comfort. 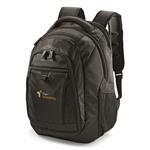 Makes a great executive gift for those doing business on the go!